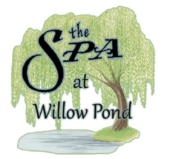 Our mission is to ensure you have the most relaxing spa experience possible. If you have any questions or comments please call us, email us, or check out our pages on social media. We’d love to hear from you! less than 24 hours notice are subject to a fee of 50% cost of each scheduled service. 48 hours required for spa packages.